that doesn’t feel like a dental office. Everything we do starts with you. You’re going to like it here. From the moment you walk in the door, you’ll notice a difference. At Main Street Dental our approach is about you – all of you. The person as well as the patient. We take the time to get to know you and we tailor your visit around the things you like – and don’t like. Some patients need a quiet space to read – we can do that. Some prefer to talk and have a laugh or two – we can really do that. Some need a place for their kids to relax while the parents get a checkup – we can do that too. At Main Street Dental you’ll discover dental care as unique as you are. We do our very best to give every patient plenty of reasons to smile every time they visit. Our treatment rooms are thematic, named after some of our favorite cities. 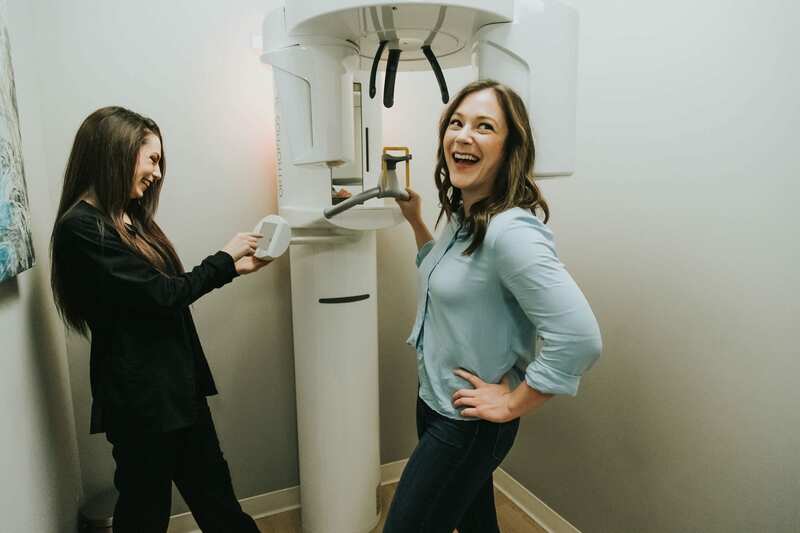 And whether you’re being treated in “Sydney” or “Chicago” we have monitors in the ceiling so you can relax and watch your favorite program while we take care of your smile. Taking a different approach to dentistry makes all the difference in the world. With our in-house lab, almost all of your dental care can be handled in just one visit. 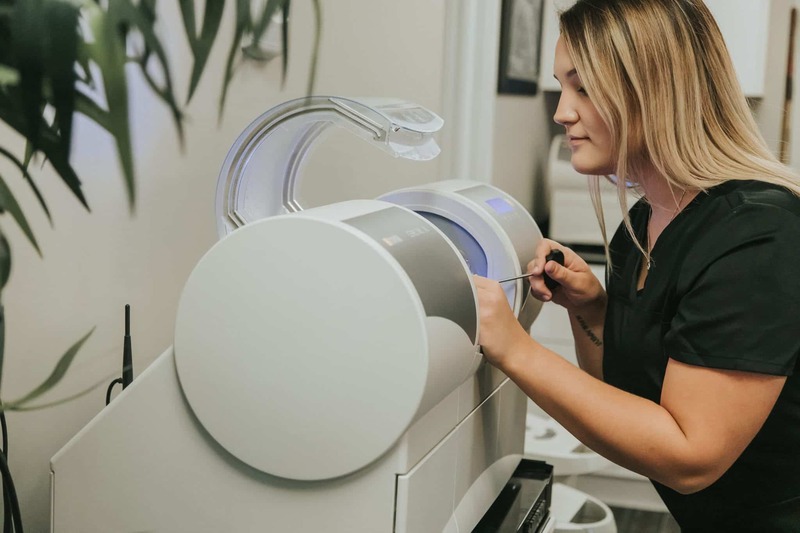 Our technology is so advanced that we’re able to provide almost every possible service right in our office including same day crowns. No need for multiple visits. No need to wait. At Main Street Dental we can give you your smile back fast! Everything is top notch. Quality in every aspect. People are the best and care for their guests. I have been going to Main Street Dental for a few years now. I have only had pleasant experiences with the staff and all their services. My family members have the same high regards for their friendly and professional staff. Can’t say enough about how awesome this place is. My boys love this place. The staff is always very friendly and welcoming. Main Street Dental is awesome! Dr. Jaicks and his dental team are amazing with their compassion and quality of dental care. So convenient, too, in getting a new crown created and placed in one appointment. Nothing’s better then driving through New Albany to arrive at the front doors of this state-of-the-art dentistry with the best and friendliest staff around. If you're looking for a clean, up-to-date, and professional dentist office... look no further!!! I have been coming here since moving to New Albany 2 years ago and they are the best practice I've ever been to. The dentists are... read moreIf you're looking for a clean, up-to-date, and professional dentist office... look no further!!! I have been coming here since moving to New Albany 2 years ago and they are the best practice I've ever been to. It’s the best place I have ever went to for dental work. As someone who has a phobia about going to the dentist, every time I have been there they make me feel very comfortable. © 2015-2019 Main St Dental. All Rights Reserved.